Find senior technical support engineer cv resume with cover letter sample (ex. 116), simple template format example helps with document writing. 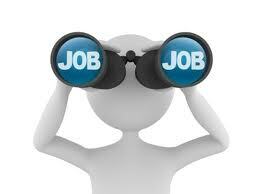 - Senior Technical Support Engineer Application Letters. Working in agfa as technical support engineer for many devices computerized systems at radiology department, processors, hard copy devices, laser imager dry imager, cr system; Computerized radiology systems are a complicated system used to convert the analog x ray to digital x ray, pacs; Picture archiving communication system pacs systems are archiving systems traditionally optimized for fast dataflow volumes of large hospitals the image can distributed via the world wide web, job description, installation; maintenance and technical sales support for the previous machines systems; installation administration the network for the previous systems, cr pacs. Resuming my career as - senior technical support engineer - in a company where I can express my skills and experience. I'm submitting a letter to express my strong desire to be considered for the position of "senior technical support engineer" being offered by segma int. I fully believe I'm qualified to fill the position and make great contributions to encourage the growth of organization. I have 39 years old, finished B.Sc engineering from the faculty of engineering, with a total working experience of 14 to 15 years, summarized as: trainer, technical support engineer, and from 13 years started working as senior technical support engineer.